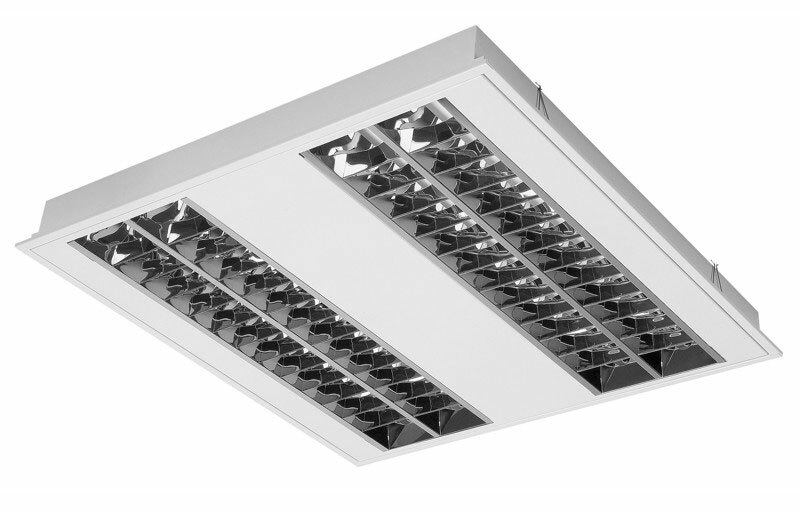 Recessed luminaires for mounting into ceiling grids and plasterboards. Body made of steel sheet finished with powder coat RAL 9003. Optics made of high polished parabolic louvre. 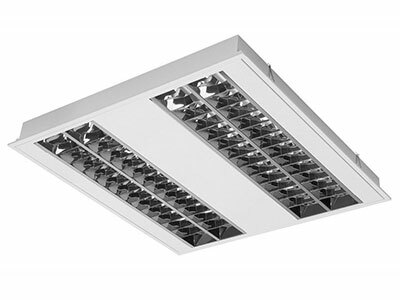 Standard version is for modul 600×600, luminaires for modul 625×625 and into plasterboards is necessary to specify in order.